About casino owner Jacobs Entertainment, Inc.
Jacobs Entertainment, Inc. is a privately held company that owns and operates casinos and pari-mutuel wagering facilities in Colorado, Louisiana, Nevada and Virginia. Most of the casinos are small in size and focus on slot and video poker for the local market and travelers. 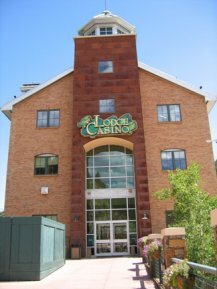 The company operates casinos under the brand names of Gilpin and The Lodge in Colorado, Gold Dust Casinos in Nevada, Colonial Downs in Virginia and 22 small truck stop gaming facilities in Louisiana. Casinos in truck stops is an ingenious strategy that for a minimal investment allows the company to own and operate a small casino that caters to the local market and travelers. The truck stop casino provides a constant flow of new customers when they stop for gas and something to eat at no marketing expense.